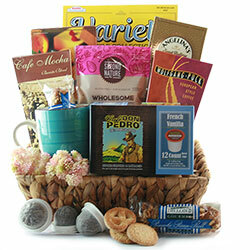 Coffee can be more than a morning kickstart — it’s also gives people a much needed mid-day boost. 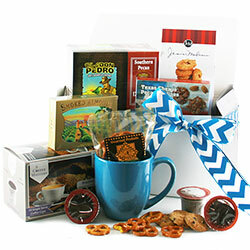 If you’re seeking a gift for someone who keeps the cups of Joe flowing in the afternoon, we have plenty of options to choose from. 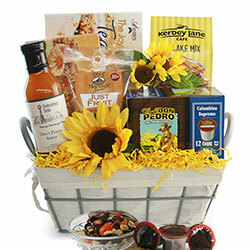 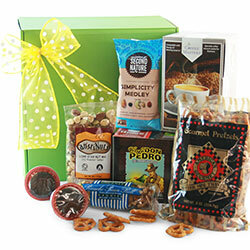 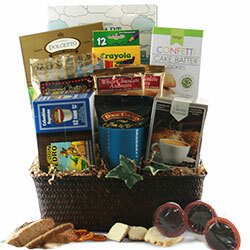 The appropriately named “Coffee Break K-Cup Gift Basket” will give recipients a mental break and boost. 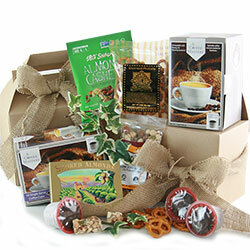 It contains one box of K-Cups, as well as Wolfgang Puck coffee, caffe latte drink mix and even Coffee City ground coffee. 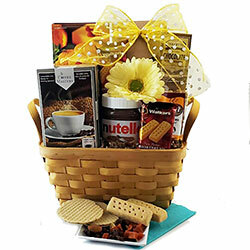 The drinks are paired with dulce de leche cookies, butter rum caramels, and a puzzle book to keep brains firing on all cylinders. 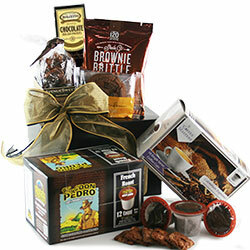 The night owls need something special, too. 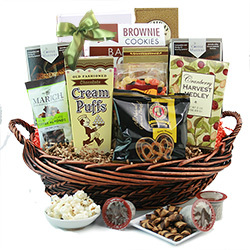 We’ve got gift baskets that are perfect for late-night studiers, up-all-night new parents, or binge-watchers who can’t go to bed until they finish one more episode. 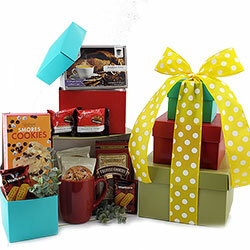 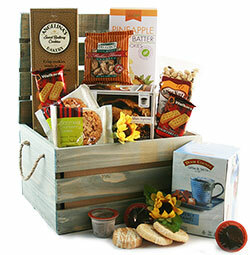 The “Good to the Last K-Cup Gift Basket” includes one box of K-Cups (your choice), shortbread cookies, caramel popcorn, creme brulee chocolates, and many more treats that deliver a sugar rush. 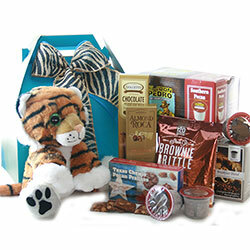 If there’s a newborn in the house, the “Up All Night Baby Gift Basket” is a great gift to send to sleepless parents. 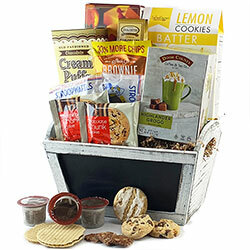 The basket contains a box of K-Cups, as well as a variety of midnight munchies, and assorted baby essentials such as a receiving blanket, baby bottle, and bib.